Each of the 10 finalists is a stellar member of our Wolf Pack and an example of what we mean when we talk about Michael Baker’s standard of excellence. Congratulations to this year's winners! Kirsten also is a tireless promoter of training and education in new areas such as 3D design and modeling, regularly facilitating internal training for Highway and Rail staff across the Company. 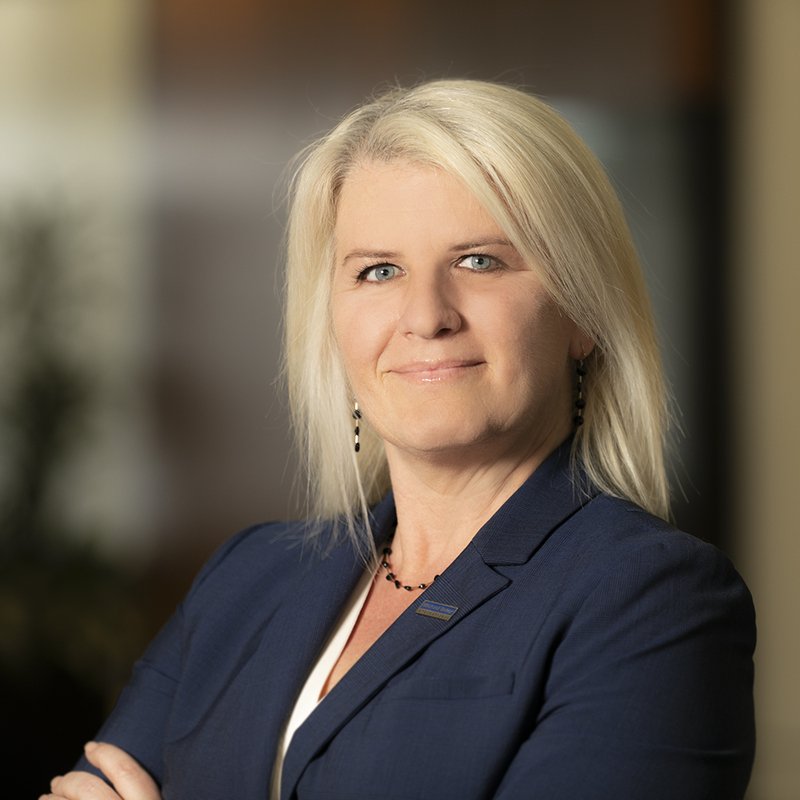 To help keep Michael Baker top-of-mind for clients, she creates opportunities for frequent interaction through her participation in the Women’s Transportation Seminar, American Society of Highway Engineers and American Railway Engineering and Maintenance-of-Way Association. "Kirsten's willingness to play a diverse set of roles and fill in where needed within the Region and Company have made her an incredibly valuable asset." Through his tenacious work and dedication, Chad has collaborated with his team to expand the North Carolina Construction Services group from 13 employees in 2012 to more than 100 inspectors in 2018. He cultivates teams that believe in our “We Make a Difference” mantra. The result is that Chad’s group has become a magnet for talent in North Carolina, and his projects perform extremely well. With Chad’s background and technical expertise in Roadway Design – along with his professional, patient and calm demeanor – he has generated success and credibility within Michael Baker and with outside clients and contractors. When he is on a job site, he knows where potential issues may be hidden. Chad’s insights into what goes into a design help him have a more complete understanding of the project and identify potential problems before they surface. 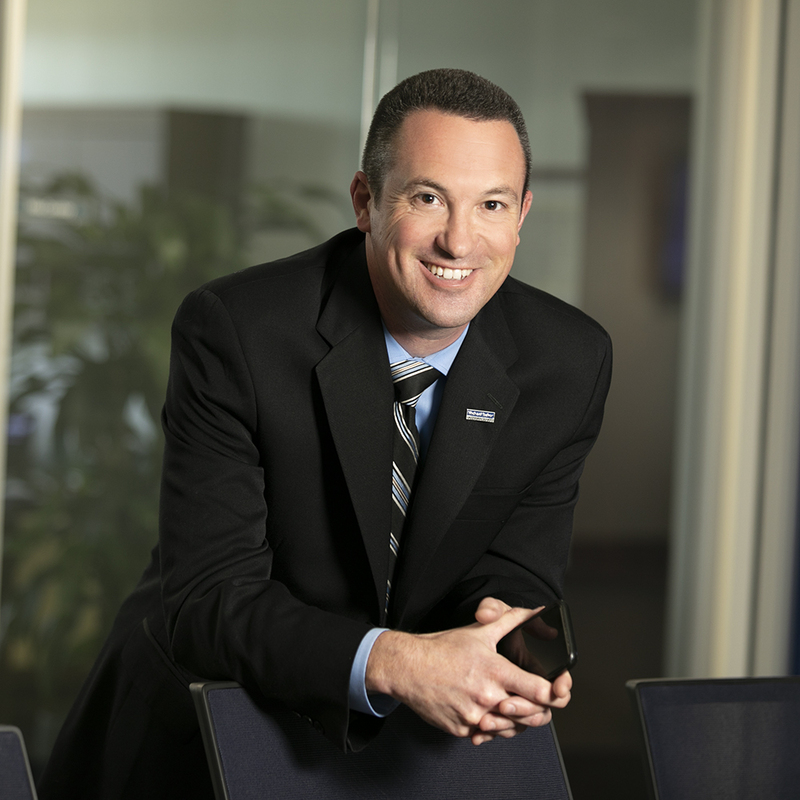 "Whether he's developing our people, advancing our position in North Carolina or protecting our Company's profits, Chad is a critical component to our success." Ed values team success over his own, and he consistently does what is best for the Company and for the staff he represents. 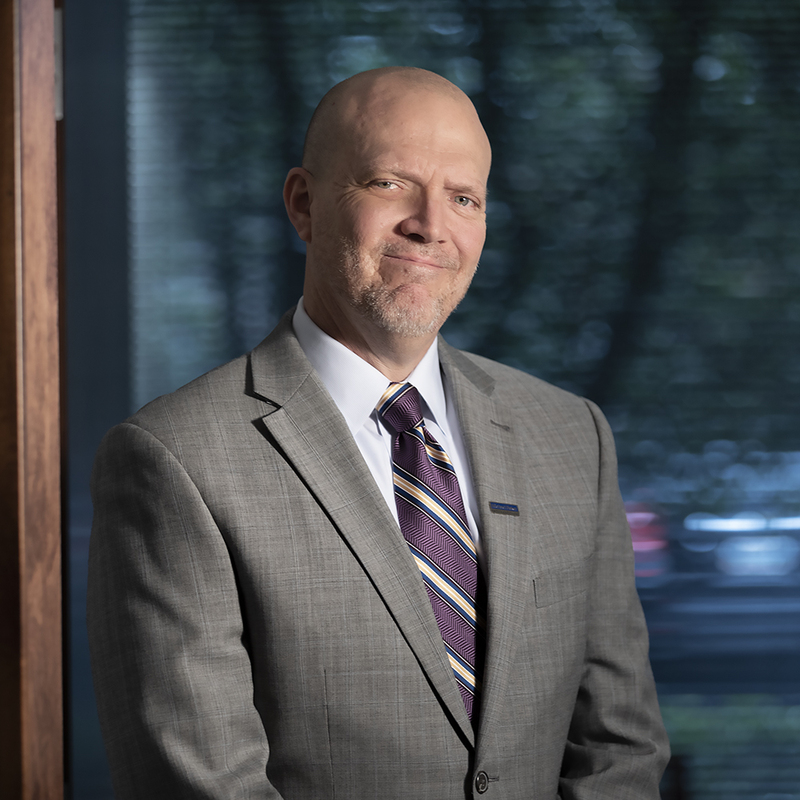 With more than 35 years of industry experience, he understands the importance of collaboration, especially within the Railroad and Transit Practice. Ed is widely recognized as an expert in his field, both locally and nationally. His presence brings instant credibility for us with any Railroad client in the country. "Everyone at Michael Baker International who knows Ed La Guardia will say that he is the epitome of our Wolf Pack philosophy." As a Professional Wetland Scientist, Rich has conducted hundreds of jurisdictional delineations and has extensive experience in the regulatory and environmental disciplines. He uses this expertise, along with excellent people skills and a welcoming manner, to navigate clients through relevant legislation to ensure project success. As a result, he is well-liked and well-respected by clients and employees. Rich is constantly looking for a better method, process or way to get things done. He quickly grasps the problem and formulates exceptional solutions. Rich’s energy is not only focused on clients and projects. He is the first to raise his hand if he can help improve the Company, whether it is an employee recognition program or our Company’s tools and processes. 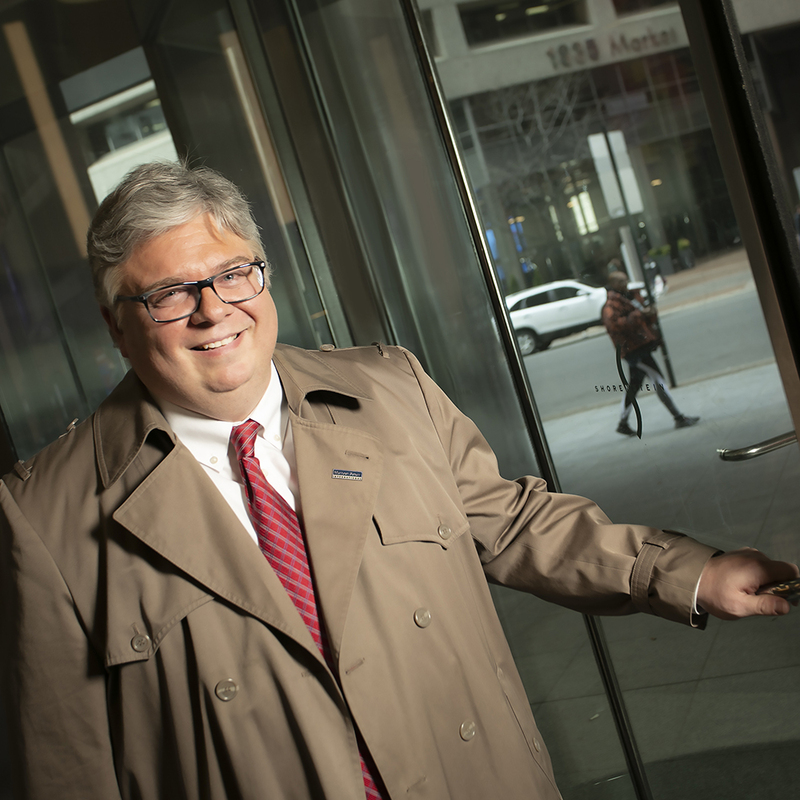 "Rich Beck is a model of integrity who fosters teamwork, collaboration and workshare." Tanya exemplifies our Wolf Pack philosophy by effectively leading a small but growing team of Surface Water professionals, while servicing demanding clients with multiple task orders. She instinctively collaborates with the Transportation, Planning, Land Development and Survey departments within Southern California and extends her resources to other colleagues to provide technical support to their projects. Tanya facilitates workshare and cross-sells our holistic capabilities to clients, which has helped win million-dollar contracts for Survey/GIT, Planning/Environmental and Civil Engineering. Tanya’s education and training in civil and chemical engineering, along with her extensive experience in stormwater management and water quality, uniquely positions Michael Baker to impact clients. She manages large multi-year, multimillion-dollar contracts and delivers programs and solutions using sound science and a deep understanding of how to navigate California’s complex regulatory environment. "Tanya's integrity, professionalism, technical expertise and collaborative style have earned the respect of her clients." John brings expertise to his role at Michael Baker in water supply/sanitary sewer systems, storm drainage lines, roads and parking areas, site development and other civil engineering structures and public works facilities. At the same time, he promotes a work environment of open communication, where employees are valued and cared for both personally and professionally. He has high expectations for his team’s performance, their path for professional development and their growth. He engages staff in challenges and empowers them to think critically and get to a mutually acceptable solution. John takes time to understand what is important to his clients, what issues and challenges they face and how he can help them achieve their goals. As a veteran in the water resources, construction management, surveying and civil engineering fields, he has worked in some capacity with virtually every public agency and special district in San Diego County, as well as many in Orange and Riverside counties. 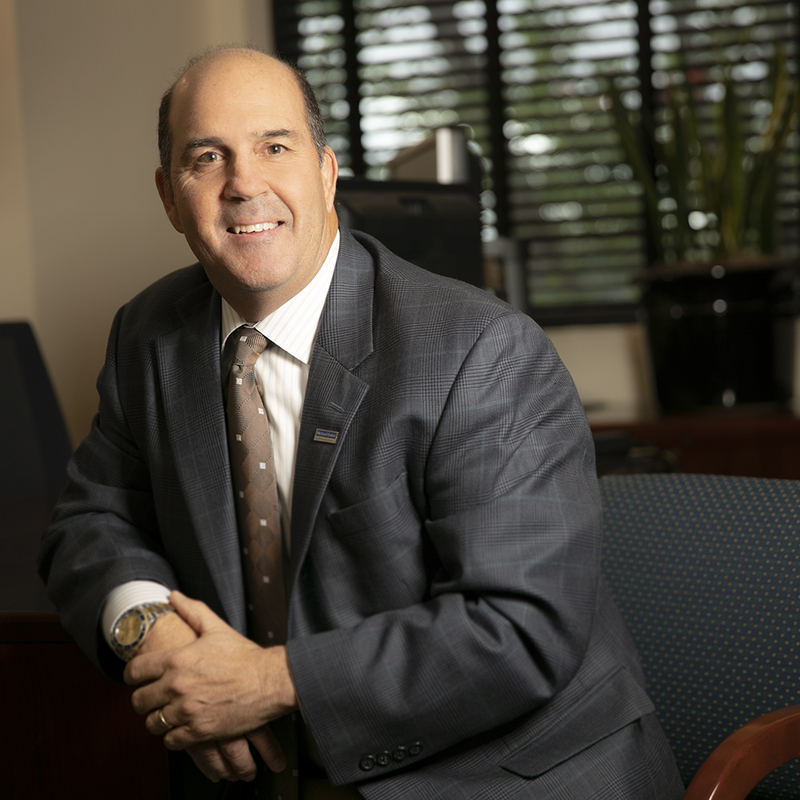 "John's relationships and reputation for integrity in the industry have attracted local talent, significantly grown the Water Resources group and expanded its client base and workshare opportunities throughout the Region." As Office Executive in Norcross, Georgia, Tommy leads his team by example, dedicating much of his time and energy to engaging with clients and colleagues and building long-term industry relationships that have helped grow our business. His expertise, along with the strong, positive relationships he has nurtured over the years, has fostered an engaged and enthusiastic workplace. Tommy is seen as a trusted advisor to clients and has done an exceptional job developing strong relationships. He was instrumental in winning several programmatic ($15M) GEC contracts with his team. His understanding of clients’ needs and his experience leading teams were essential skills to these successes. "Tommy has always fostered a ‘do whatever it takes' mentality, which helps to maintain our client base and supports our efforts to seek new clients." Francesco (Frank) Russo, Ph.D., P.E. 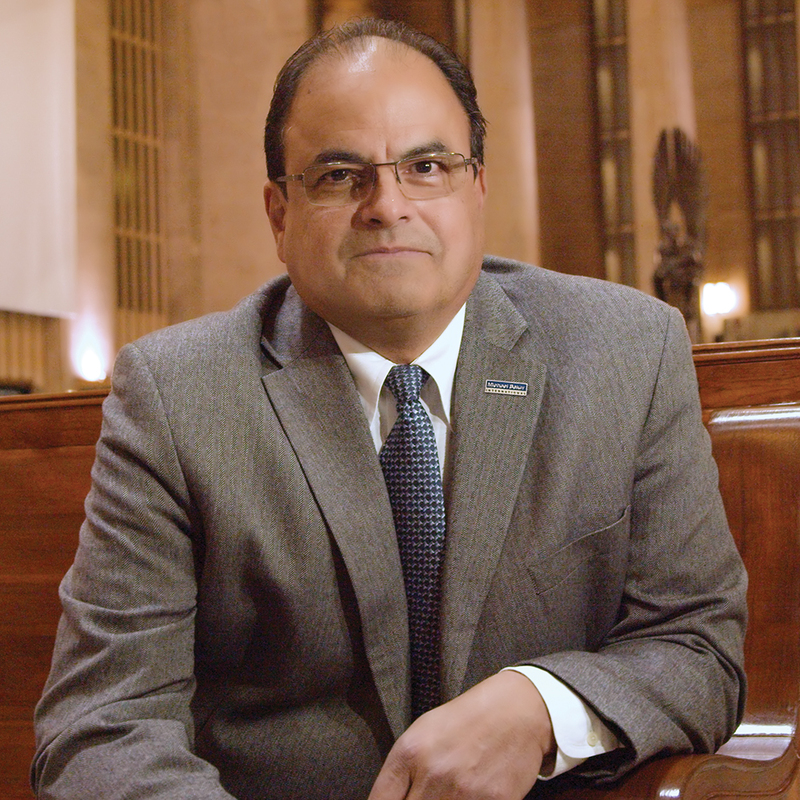 There are very few people in the bridge engineering community who are stronger advocates than Frank for continually advancing the way that bridges are designed, inspected and maintained. 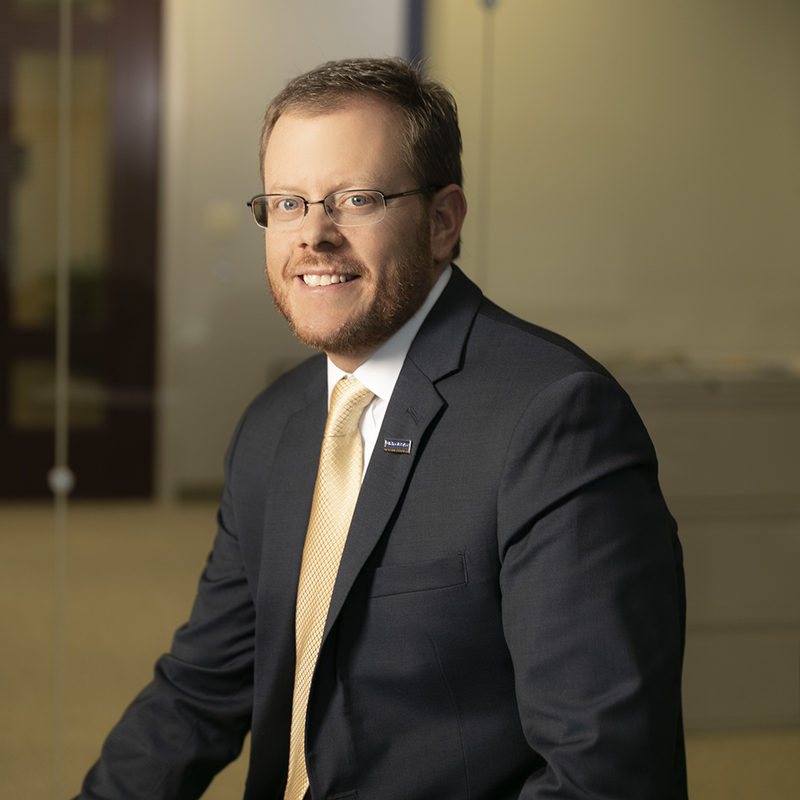 In his eight years with Michael Baker, he has helped execute many of our most complex bridge projects, solidified our reputation with key clients and contributed to our growth. The top clients in our business across dozens of agencies recognize Frank as one of the top national bridge experts. Frank teaches dozens of classes to DOT staff around the country, bringing him into contact with key clients and decision makers and enabling him to position our Company as technical experts. He has developed—and actively teaches—coursework on concrete strut-and-tie analysis, curved girder analysis and steel fatigue and fracture that reflects state-of-the-art approaches to complex bridge problems. Frank is dedicated to continually improving the way the industry innovates and leverages technology to achieve quality and ensure safety. 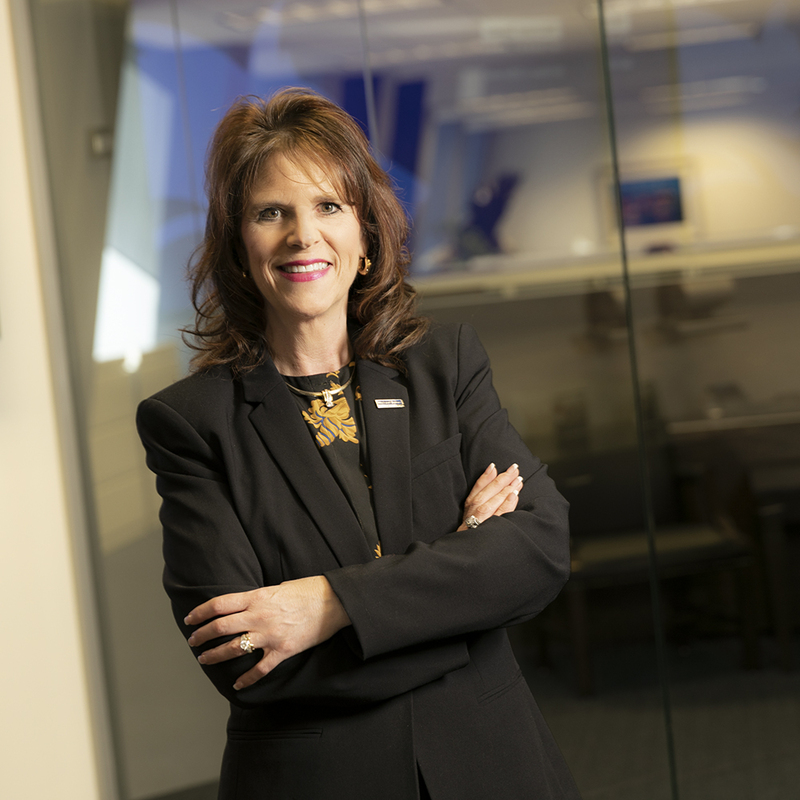 "Frank's efforts have directly contributed to our standard of excellence and to our standing as one of the top providers of bridge services in the U.S."
Lori’s experience in the industry spans more than 27 years. 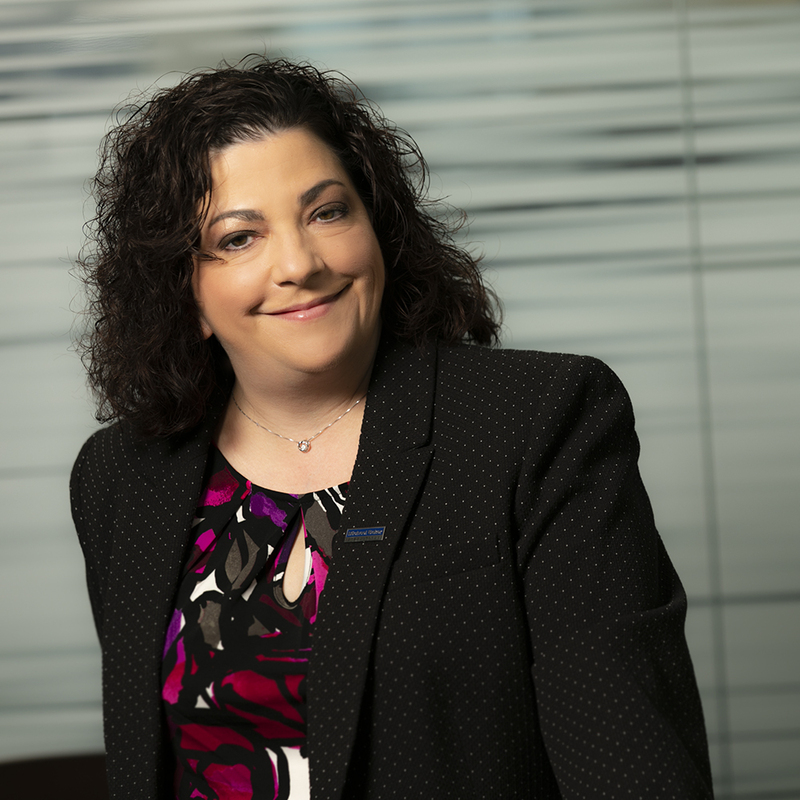 Based in the Pittsburgh Corporate Headquarters, she is an agile and objective member of our Wolf Pack who brings skills in project operations and financial management to the Company. Her in-depth understanding of IT, Human Resources, Finance and Operations processes allows her to recognize how all the Company’s systems work together. Lori’s collaborative approach and exchange of information results in more strategic outcomes that consist of laser-focused insights accompanied by skilled analysis. She is recognized as one of the most knowledgeable people in the Company regarding processes, tools and resources. Lori consistently overdelivers on her work. She holds herself to the highest standard of excellence and works tirelessly to enforce that standard across the Company. "Lori gives her all to everything she’s associated with. She is approachable, positive and well respected by all." Garrett displays all aspects of our Wolf Pack philosophy with his leadership style. He knows his team well and always considers the good of the group as part of his decision-making process. His ideas and solutions to engineering challenges have saved clients time and money. 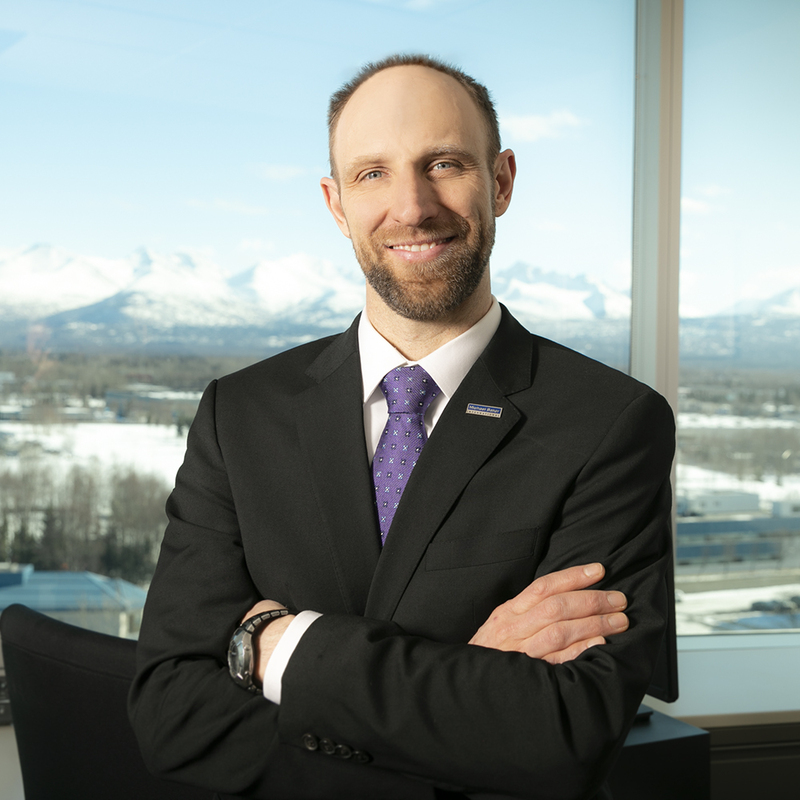 As Project Manager for one of the Anchorage office’s hydrological monitoring projects, he developed a remote surface water monitoring system that reduced field-hours and expensive helicopter time and increased safety and data collection. In addition to his work with Michael Baker, he has had an impact on a global scale through his role as past president of the University of Alaska Anchorage Engineers Without Borders chapter and helped launch a project to improve drinking water and cooking facilities at the Rhema Grace Orphanage in Cameroon, Africa. He continues to look for areas to improve and encourages his colleagues to do the same. 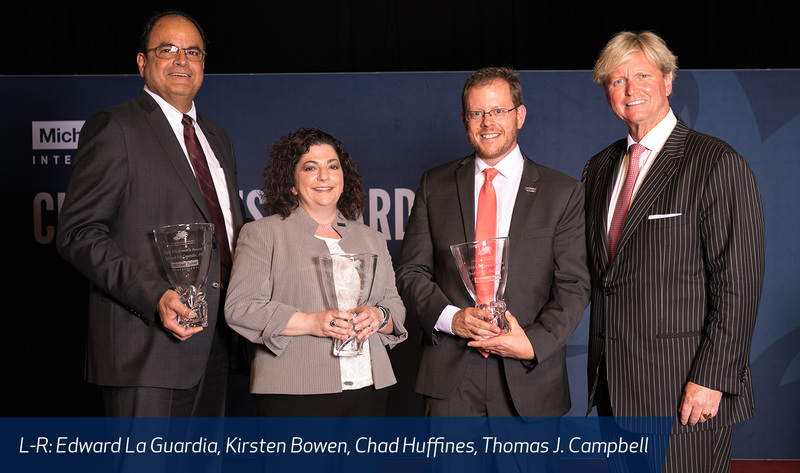 "Garrett sets an excellent example for what it means to work hard, be innovative and not settle for the status quo."